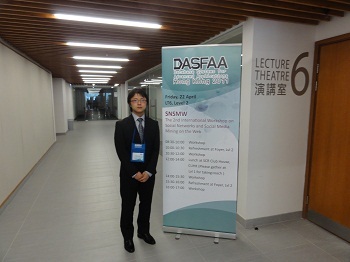 Se Wang (王 瑟)'s paper was presented at APWeb2011 Conference in Beijing, April 18-20. His paper title is "Quality Evaluation of Wikipedia Articles Through Edit History and Editor Groups"
This page is an archive of recent entries in the web mining category. social web is the previous category.